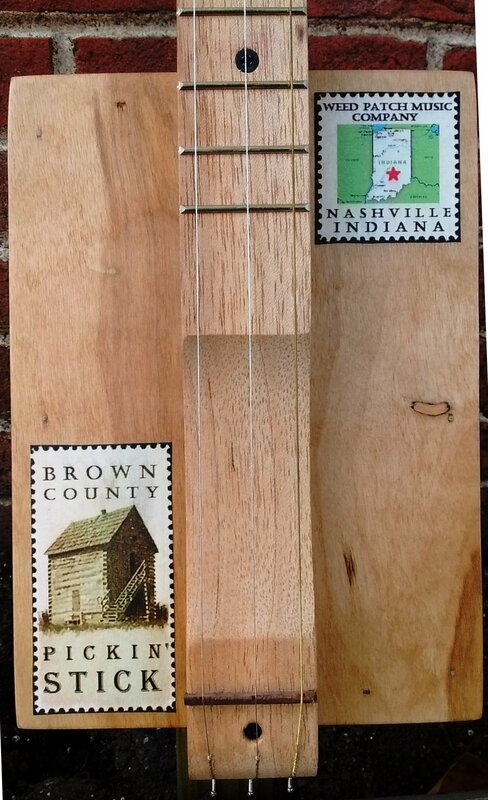 Brown County Pickin' Sticks — A unique music store in Brown County, Indiana! These fun and easy to play Pickin' Sticks make a perfect first instrument or an interesting addition to your musical collection. Built with a Dulcimer neck and tuned to Open D tuning, it is hard to hit a bad note on these strumsticks! Pickin' Sticks are available as either an Acoustic or Acoustic-Electric variety. We have several different types and each one is unique! Get started strummin' today!